Ramboll is taking over MMG, an engineering consultancy that specialises in designing hospital logistics systems and the use of automated guided vehicles (AGVs) in hospitals. 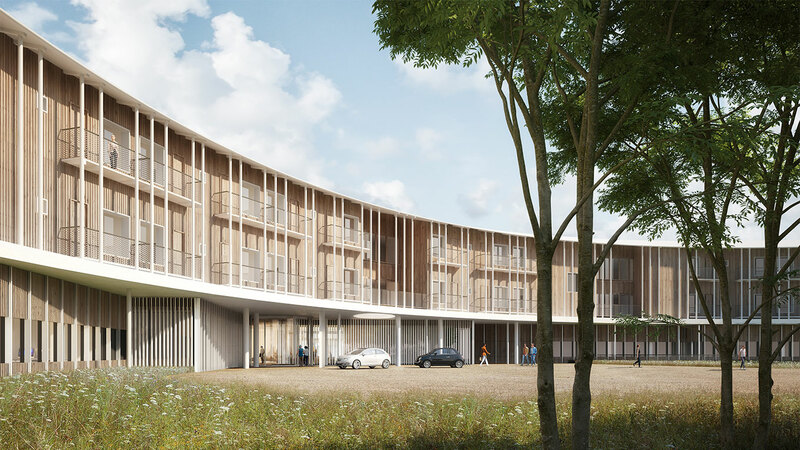 Digitalisation and automation are an integral part of the design process at the New North Zealand Hospital in Hillerød, north of Copenhagen. Digitalisation and automation are key to streamlining hospital workflows, enabling healthcare providers to spend less time on non-care related tasks. Designing and planning hospital logistics is increasingly playing a vital role in the efficient and smooth running of hospitals and ultimately helping to improve cost-effectiveness and patient care. The German company MMG has long specialised in healthcare logistics, in particular automated guided vehicles (AGVs) and pneumatic tubular systems (PTS). These technologies provide the efficient, punctual transport of materials throughout a hospital at any time. And more importantly, they free up hospital employees to spend as much time as possible directly on patients. Ramboll is already significantly active in the healthcare industry with a successful track record in designing new and refurbishing existing healthcare facilities – from major hospitals and community care facilities to specialist care centres. Changes in lifestyle and demographics as populations grow older are demanding new standards for healthcare facilities and services, and automation is one method of increasing cost-effectiveness. According to Michael Gustavsson, Global Division Director of Hospitals at Ramboll, "Improving the quality of - and access to - healthcare, while controlling costs as populations age and grow is a major challenge for the healthcare sector." "Automation of the internal hospital logistics is a way for hospitals to reduce costs, secure documentation and spend more time on patient care. With MMG, Ramboll is acquiring world class consultants with unique insights from the German, Danish and Austrian markets on how to deliver the future of healthcare and complement our existing broad portfolio," he says. AGV technology can be tailored to work in existing healthcare facilities but they are particularly useful if factored in during the initial design of new hospitals as the technology offers significant operational advantages and has an impact on the overall design and blueprint of the building. "With their extensive experience in healthcare, Ramboll are the perfect partner for us," says Thomas Forst, Managing Director of MMG. "This acquisition will allow us to bring our unique expertise in logistics and automation technology to a larger market and help Ramboll win new projects in the future." Founded in 1999 in Berlin by Thomas Forst and Dieter Richter, MMG began as a niche planning and consultancy in hospital logistics. From a small-scale start-up with a handful of employees, the company expanded their expertise within logistics and in 2008, ventured into pneumatic tubular systems (PTS) and the emergent technology of automated guided vehicles (AGVs). In 2015, the company founded their first subsidiary outside Germany, wining several significant contracts at hospitals in Denmark.